BEST WHITEFISH DOG FOOD: SEAFOOD FOR YOUR POOCH! Chicken and beef are probably the two most common proteins used in commercial dog foods, but they aren’t the only options on the market. There are a number of other proteins used in dog foods, and some – such as whitefish – are becoming more popular among owners and their dogs. We’ll review six of the best whitefish-based dog foods below, but first, we’ll explain what whitefish is and talk about why it may be a great choice for your pooch. The term “whitefish” is used in several different ways by the fisheries industry. It doesn’t usually refer to a given species; rather, it refers to any number of bottom-dwelling fish with white flesh. It is often used to distinguish the fish in question from salmon and other oily fish. Some of the most common species that fall under the whitefish umbrella include Atlantic cod, whiting, and haddock. However, the term can also be applied to halibut, hake, and pollock, among others. In human cuisine, whitefish is often smoked or processed into fish sticks. It is also the primary type of fish used to make “fish and chips” and imitation crab meat. Why Feed Your Dog Whitefish? There are a number of reasons to feed your dog a whitefish-based diet, but the following three are among the most important. Because the term whitefish is applied to several different species, the nutritional content of different whitefish-based foods differs. However, most types of whitefish are quite nutritious. Lake whitefish, for example, is not only relatively low in saturated fat (each 150-calorie filet contains only 1 gram of saturated fat) but high in niacin, Vitamin B6, Vitamin B12 and selenium too. Cod, another common species that goes by the “whitefish” label, is also full of niacin and Vitamin B12, and it contains 15 to 20 grams of protein for every 90-calorie portion. Many dogs are allergic to chicken, beef, and other common proteins, so they require foods comprised of other meats. Whitefish is a great choice for such dogs, as it is not only healthy, but it rarely triggers allergies. However, it is important to note that many whitefish-based recipes also contain chicken or salmon products, so be sure to scrutinize ingredient lists carefully when making your choice. Some dogs find whitefish to be particularly tasty, so recipes featuring this protein can be very helpful for feeding finicky dogs. However, once again, it is important to point out that many whitefish-based recipes also contain other fish species, which may affect the food’s flavor. Was the Food Manufactured in a Country with High Safety and Quality Standards? You don’t want to take chances with your dog’s health, so it is important to select a food made in a country that takes safety and quality seriously. This essentially means looking for foods made in the United States, Canada, Australia, New Zealand or Western Europe. Is There a Whole Protein at the Top of the Ingredient List? 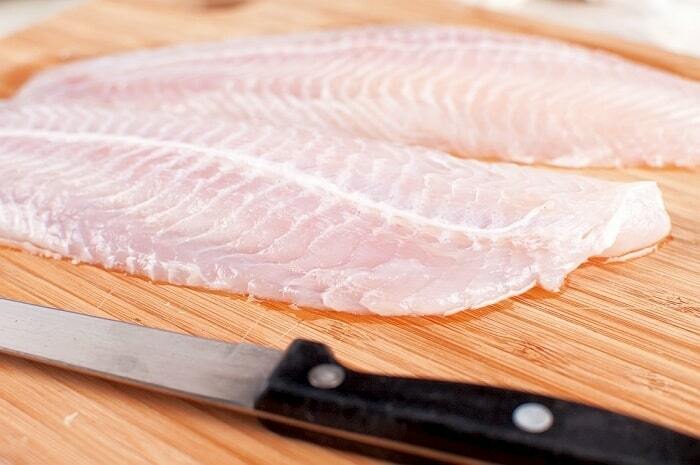 It is always important to select a recipe that begins with a whole protein – whitefish in this particular case. Things like whitefish meal are also valuable ingredients, but they should appear further down the ingredient list. Are there Any Artificial Additives? Artificial flavors, colors, and preservatives may trigger allergies or cause digestive problems in some dogs, so they’re best avoided. Fortunately, these types of additives are completely unnecessary if high-quality ingredients are used, so most premium dog foods are now made without them. Does the Food Include Probiotics? Probiotics are beneficial bacteria that may help your dog digest his food more effectively. They may also help prevent upset stomach and help facilitate your dog’s transition from one diet to another. Does the Food Contain Any Unlabeled Meat Meals? While meat meals and meat byproducts are perfectly acceptable ingredients, it is imperative that you avoid any foods that do not indicate the source of all the proteins included. This means that ingredients like “whitefish meal” or “salmon meal” are fine, but “fish meal,” “meat meal,” and other vaguely labeled ingredients should be avoided.